Do you dream of an unforgettable Christmas, spent in a snowy wonderland, enjoying gourmet catering and sipping champagne in front of a roaring log fire? What better place to spend the festive season than in the Alps, and we have selected some of the best chalets to spend your Christmas in. Spectacular views of Mont Blanc dominate the open plan living and dining area of this wonderful chalet in the village of Les Gets. Just a short chauffeured drive from the ski lifts, this chalet combines privacy with convenience and at just one hour from Geneva, this chalet makes a perfect place for a family getaway this festive season. The outdoor Jacuzzi enjoys beautiful views, or you can relax in the glass sauna or to the sound of the grand piano in the living room. The vaulted cellar features a full size snooker table, which can be converted into a dining table, giving you a selection of dining options for a mouth-watering Christmas dinner; what could be more perfect? 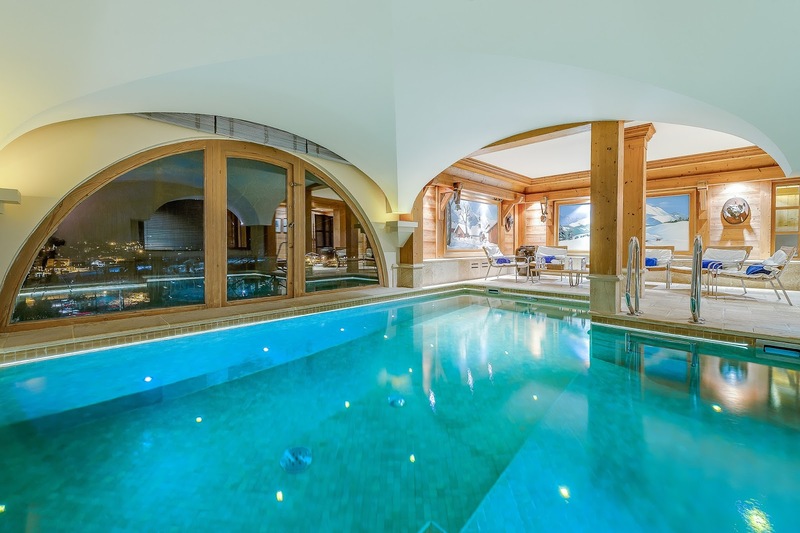 A spectacularly opulent property, this stunning chalet combines modern, chic furniture with inspiring artwork, wood and stone features and opulent furs. Its ski in/ski out location in Verbier maximises your time on the slopes, and gives splendid views from its extensive balconies and terraces. With an indoor pool, hammam and massage room, Makini epitomises luxury. Enjoy one another’s company in one of the two living areas, or sample fabulous wines from the extensive wine cellars; a truly sophisticated Christmas. How would you like to float in an indoor pool while watching the twinkling lights of the resort below you? Look no further than Chalet Montana! This ski in/ski out chalet has fantastic views over the iconic and exclusive resort of Val d’Isere, with a large terrace for soaking up the sun in the mountain air. 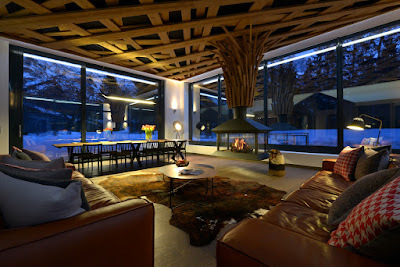 Warm wood detailing makes this stunning chalet a comfortable haven to enjoy the festive season with friends or family. A fabulously designed bunk room will make an exciting place for the children over the festive season, and has plenty of space for play, while you enjoy the sauna or relax in front of the open fire, or enjoy the fantastic views from the living room. This sleek and modern chalet in Chamonix makes a wonderful alternative Christmas location, if alpine style isn’t your thing. With panoramic windows and a suspended feature fireplace, the living room of this stunning chalet demonstrates the modern and sophisticated style throughout. 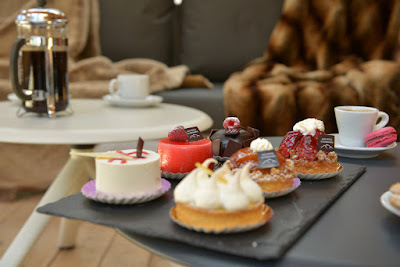 Enjoy the breath-taking views of the Mont Blanc from the roof terrace, or soak in the heated outdoor pool and hot tub. The whisky snug is the perfect place for a quiet moment, or enjoy the Christmas classics in the cinema room; this stunning contemporary chalet makes for a stunning and unusual festive retreat. All of these stunning chalets are currently available for Christmas – contact us today for further details on these or any of our other fabulous properties. Let us find you the perfect Christmas address!